BrightSide Produce San Diego envisions a future where everyone in San Diego has access to affordable, fresh fruits and vegetables. It’s a bold vision, but the student-run, social venture has already made huge strides toward its goal. 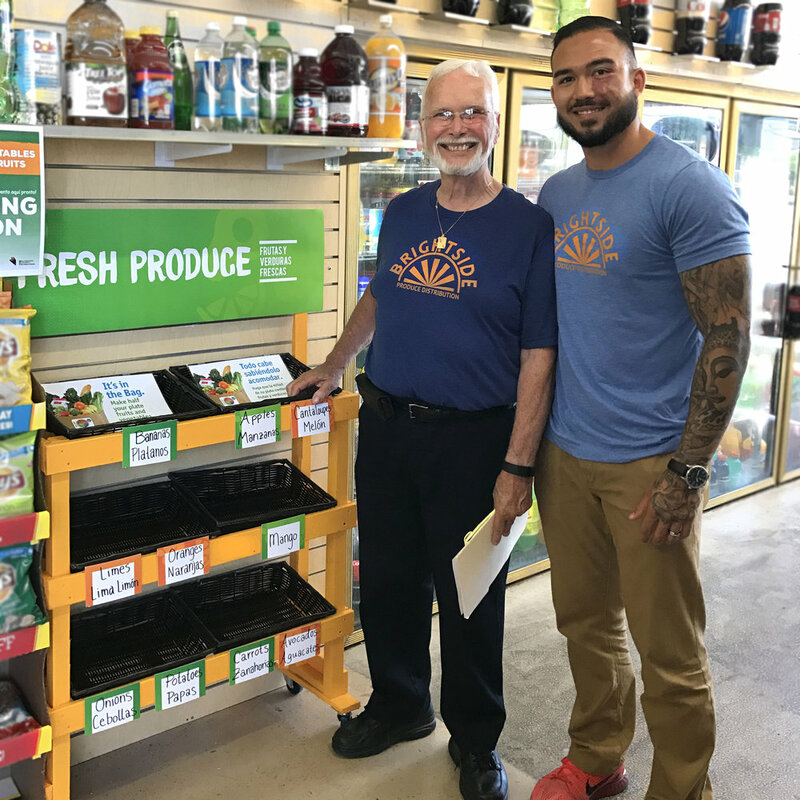 Launched in June 2017 by Dr. Iana Castro, a marketing professor at San Diego State University (SDSU), and Rafael Castro, BrightSide serves as a produce distributor that reaches food insecure customers in underserved and university communities. Currently, it delivers fresh produce to nine community stores in National City weekly by “breaking bulk” and giving stores the flexibility to buy the varieties and quantities of fruits and vegetables that are appropriate for the stores at low prices, without minimum order requirements. In addition to its store deliveries, BrightSide has an SDSU Buyers Club, which is a convenient, on-campus option for affordable produce. SDSU community members can sign up for a produce package based on how many fruits and vegetables they would like to receive each week, and can pick it up at SDSU Farmers Market every Thursday between 10 a.m. to 3 p.m.
Outside of its deliveries, BrightSide has established itself as an important part of the sustainable movement at SDSU. It’s housed under the Center for Regional Sustainability (CRS), an organization dedicated to advancing sustainability through regional collaborations in higher education, research, stewardship and outreach. With the support of CRS, BrightSide is run primarily by students from Dr. Castro’s “Marketing and Sales for Social Impact” course, which gives them the opportunity to apply their skills to a real business and effect change in areas where it’s needed most. Along with running the business, students have the opportunity to share BrightSide’s mission at sustainability-themed events both locally and nationally. To keep up with BrightSide as it continues to make its impact in the San Diego region and beyond, please visit BrightSide’s website or follow BrightSide on Instagram or Facebook. The holiday season is a time to celebrate with family and friends. 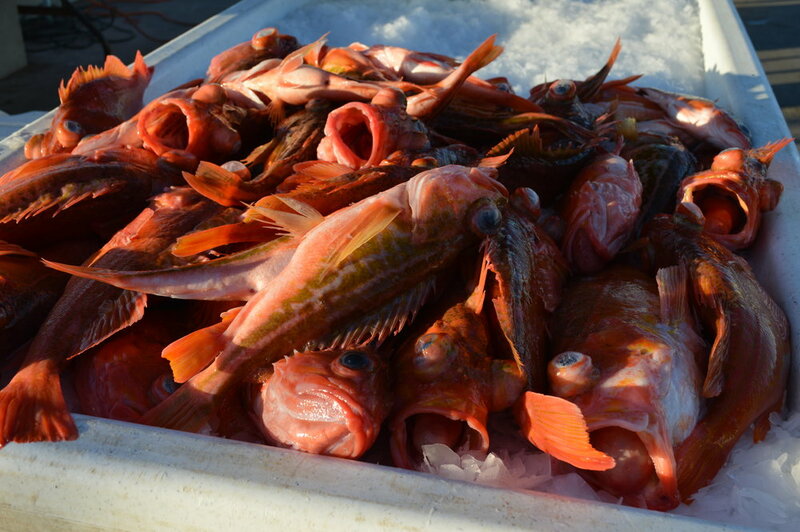 A time to select that perfect gift from a local vendor for someone special. A time to indulge in holiday libations and decadent feasts. A time to give thanks and share a little extra cheer with those in need. With 1 in 7 San Diego County residents experiencing food insecurity, food distribution programs and meal donations can go a long way in helping families get their basic needs met. Aligned with Slow Food’s vision of Good, Clean and Fair Food for All, here we share our top tips for how to give back to our local community this holiday season. Participating in the San Diego Food Bank’s 2015 Holiday Food Drive by purchasing a pre-filled bag of food at a local Vons, donating online, or hosting a food drive at your workplace or community center. Joining Feeding America San Diego in its goal to raise one million meals for local families in need this holiday season. Learn more about how you can donate your time or dollars on their website. Supporting our local military and veteran community by adopting a military family for the holiday season. When you purchase commissary or grocery cards for your adopted family, you are helping to nourish both their bodies and joyful spirits. Donating a Farm Fresh to You box to a local family in need, bringing the gift of healthy produce to their doorstep. Honoring your friends and family by donating to a local, sustainable food organization or ordering an organic CSA box in their name. This wonderful gift will keep on giving – supporting a healthier, more delicious and just world for them and their neighbors to live in. Check out Suzie’s Farm or San Diego Roots Sustainable Food Project for inspiration. Here’s to a happy, healthy and nourishing holiday season for all San Diegans! Join us for some end-of-year fun! Champagne and local wine specials and pairings just for Slow Sippers, plus happy hour appetizer specials.